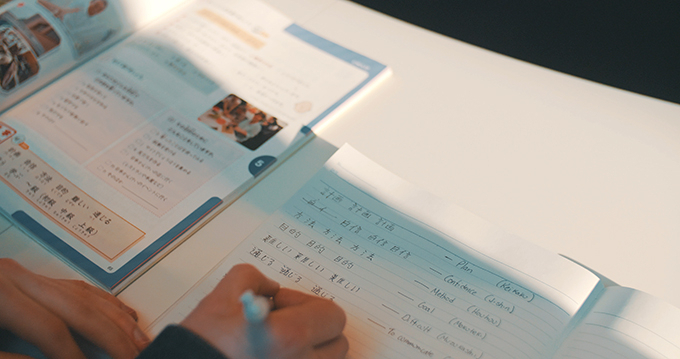 The Japan Foundation and Japan Educational Exchanges and Services organize the Japanese-Language Proficiency Test (JLPT), which measures and certifies the Japanese-language proficiency of those whose native language is not Japanese. 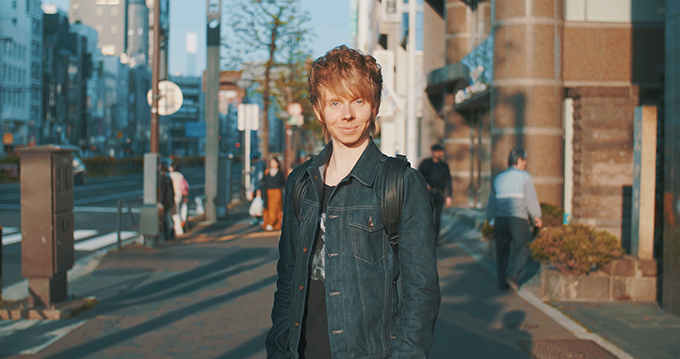 Canadian figure skater Kevin Reynolds passed the N2 level of JLPT in December 2016. When he came to Japan in April 2017, he talked about how he encountered Japan and how he started studying its language. －What was your first connection with Japan? Kevin: I think I was exposed to a lot of Japanese culture since I was a kid even when I didn't realized at that time through the video game, the anime on TV, and eventually through the sports figure skating itself. So I finally partially become a part of Japan and Japanese culture like that way. －What are you fascinated about Japan while you study Japanese? Kevin: Well I think it's the contrast to the culture that we have in Canada. Japanese culture differs so much, and this makes much more interesting to me and to be able to communicate in a language of that culture where such a different mentality even between the languages themselves. －What are important things to you when you study Japanese language? 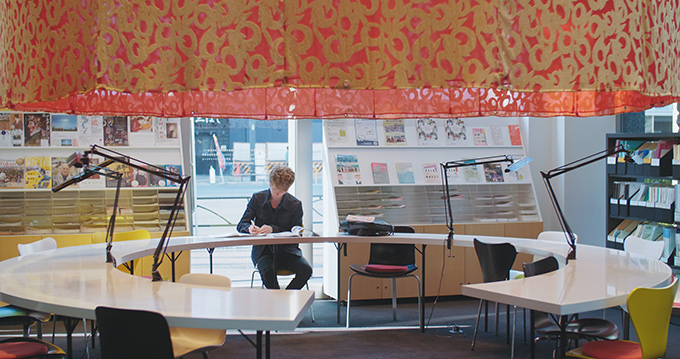 Kevin: I think that when I'm studying a foreign language, I try to be able to not only understand the culture but understand the language itself and think within the language. 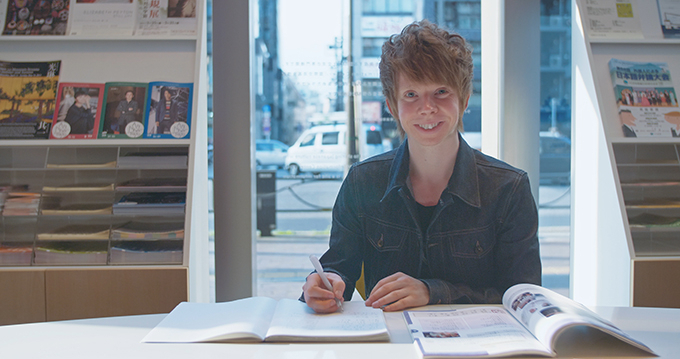 When I started to learn the language, I was trying to gather my thoughts in English and mentally translate them into the language that I was trying to learn. Now I feel like I'm able to converse more naturally, of course with the improvements of vocabulary, by thinking within Japanese within the vocabulary that was established and I feel like I've been able to communicate more naturally that way. －When do you find Japanese language difficult? Kevin: There are many things, obviously, that I find difficult: it's the reading of the kanji characters. I feel that I've been able to steadily grow vocabulary, to steadily improve my grammar skills and language ability, but I think that understanding the nuances of the kanji characters and being able to read them 100% correctly have been the most time consuming thing and the thing that requires concentration most in my studies. So, I'll probably need to focus more on that especially if I hope to pass the highest level of N1 in the future. Kevin practices Kanji-writing again and again. －What are the specific moments that you realized your level has gone up? Kevin: I think it was when I come to Japan this time. The last time I was here was three years ago and I felt like I could recognize a lot of what people were saying but I couldn't necessary communicate properly. But since I started taking university courses this has changed a lot. When I am in Japan I am able to naturally converse with people in daily situations and that surprised me. 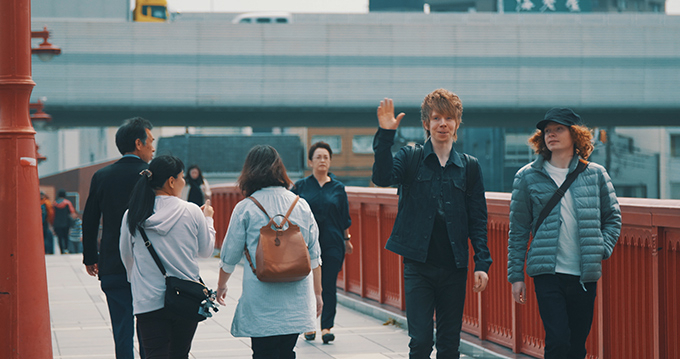 It was a pleasant surprise because the last time I came to Japan three years ago I could understand a lot of what people were saying but couldn't communicate back to the level I wanted to. So I was very happy to feel that this time. Kevin visited several places with his brother during his stay. He had quite many occasions to communicate local people in Japanese. Kevin: In December I took the N2 level test, so I have taken tests now from level 5 to level 2 but this one is by far the most difficult test I have undertaken. I was quite nervous because it was a big step up from what I had been used to but I think it didn't go too bad. So, in the end, I'm very happy. Kevin: Right, I think the most important thing to me has been being able to communicate with people: Japanese figure skating fans, for example, but I think that the JLPT serves as a measure of my level progression. So I found that it is not only beneficial to see where I've been able to progress but see which level I am in: taking the test and knowing exactly where I am. Where I can improve upon and where I feel like I've achieved that level. －In the future, what kind of relationship with Japan you would like to build up as a figure skater or as an individual? Kevin: For me, the start was to build the bridge over the gap a little bit. To break the communication barrier that Japanese fans had in communicating with me and then that I had communicating with Japanese fans. I would like to continue that whether it's within being a figure skating coach or whether as involving international relations which I'm studying at the university right now. So in some sense I would like to be able to bridge the Canadian-Japanese relations through learning the language. －Are there any interesting episodes with Japanese skaters? Kevin: Yes, I think there've been several. The first one probably was when I was show-touring in Japan. I was able to do a show called "Dreams on Ice" and also Mao Asada's tour "The Ice." I was able to understand what people were saying so it was exciting for me but I still felt like stuck when I was trying to speak at that point. A breakthrough was when I was communicating with some Japanese skaters at the Four Continents Championships in Korea in February 2017. I was able to converse mostly naturally with a lot of the skaters there, so I felt very, very happy even though it was for a short time that I was able to make conversation. This gave me motivation to keep on studying Japanese for the future. －Please give a message to people who study Japanese. Kevin: I think not to get discouraged with any feelings of mistakes that you have and to continue studying with the future, that you'll learn from these experiences and not only that, you'll have an exciting future in bridging culture divisions and being able to speak with people all around the world. To those who are studying Japanese, even if you make a mistake, don't worry about it. The important thing is that you are trying hard. *N2 is the ability to understand Japanese used in everyday situations, also Japanese written clearly on a variety of topics, such as articles and commentaries in newspapers and magazines. 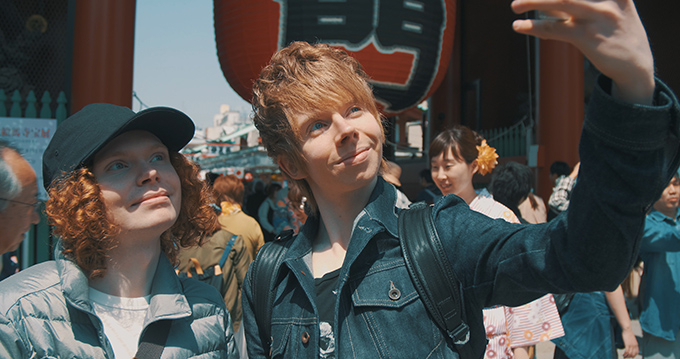 Kevin Reynolds is a Canadian figure skater born on July 23, 1990. He is the 2013 Four Continents champion, and at the 2014 Winter Olympics in Sochi, he helped Team Canada win the silver medal in the team event. In 2017, he won bronze at the Skate Canada International. In December 2016, he passed N2 of Japanese-Language Proficiency Test (JLPT) and he is now studying for N1, the hardest level in JLPT.